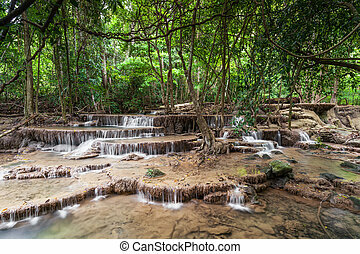 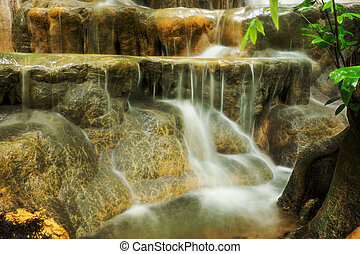 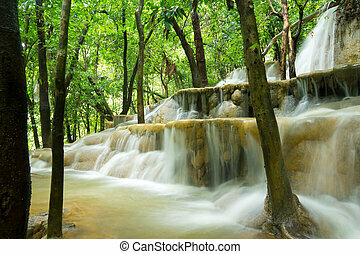 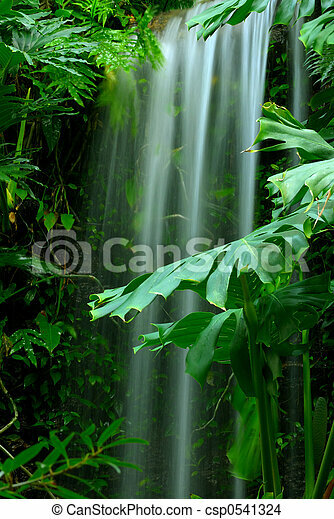 Waterfall in the rainforest - the beauty of a waterfall among the lush green leaves of a rainforest. 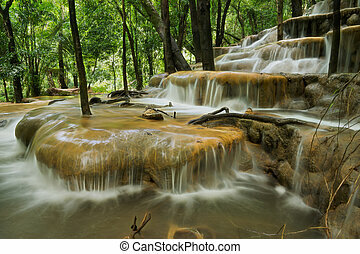 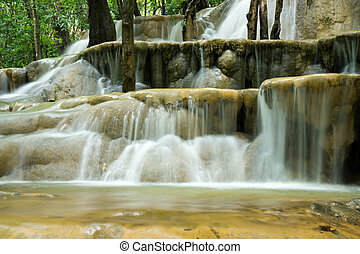 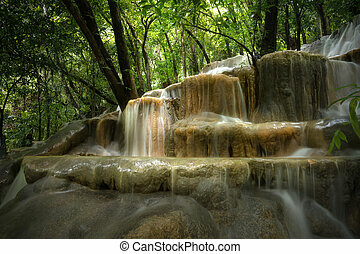 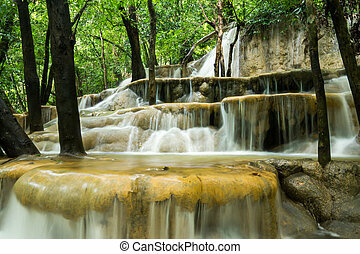 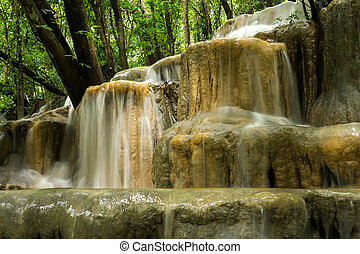 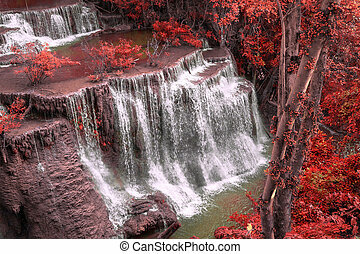 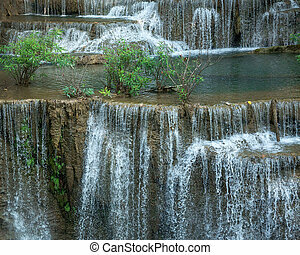 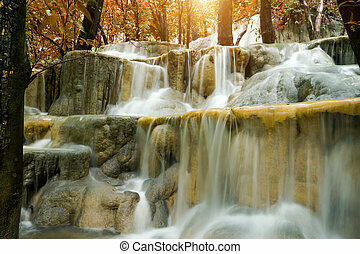 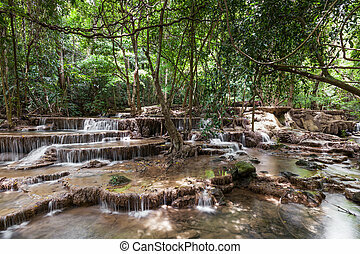 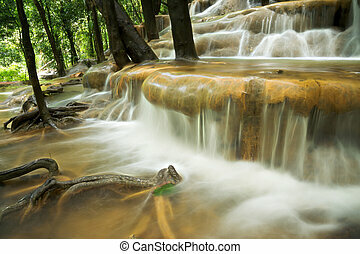 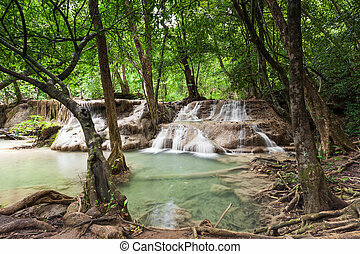 Beautiful Mae Khamin waterfall in the rainforest, Kanchanaburi, Thailand. 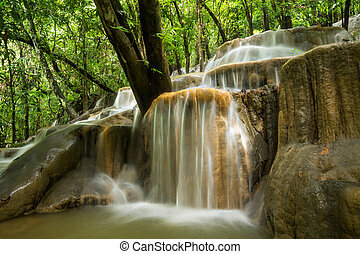 Limestone waterfall in the rainforest, Thailand.